Like many of life’s milestones, such as getting married or starting a new job, an out-of-state move is a stressful time. Unlike a local move in Portland, when you move out state you’ll be leaving behind many of the people and things that formed your daily routines. While there is little to be done about missing your favorite coffee shop or nearby friends, there are steps you can take to eliminate some of the stress of moving day and simplify your interstate move. While many of the moving-related tasks will have to wait until a month or so before the move, some can be started much earlier. This includes some of the other items on this list such as choosing the right moving company and getting rid of some of your household goods. Securing your choice of Portland interstate moving company is important—especially if you’re moving during the busy season. Reserve your moving date as early as possible to avoid having to go with your second choice. Have you heard the stories about a mover presenting a final invoice for thousands of dollars more than what was quoted? It happens far too often, so don’t let it happen to you. One of the best ways to avoid this is by getting an in-home, rather than over-the-phone moving quote. It’s not possible to provide an accurate quote without seeing the space and the amount of belongings that need to be moved. With an in-home estimate from professional Portland interstate movers, you can get an accurate, in-writing quote. It always feels good to purge unused items, and one of the best times to do that is as you’re planning your move. Depending on how much you donate or give away, this could trim your moving costs. Plus, setting up in your new home will be much easier without trying to find places for things you no longer need or use. Imagine how great it would be to walk into your new home and know exactly where everything was going to go. That is the benefit of space planning. All you need is a copy of your new home’s floor plans and, if possible, some photos. Use those to design your spaces. You may find that a certain piece of furniture won’t work in the new home. If that’s the case, you’ll be able to sell or donate before the move and save the expense of including it in the relocation. Plus, you’ll be able to tell the movers exactly where you want furniture placed—saving you the hassle of having to figure it all out once the movers are gone. 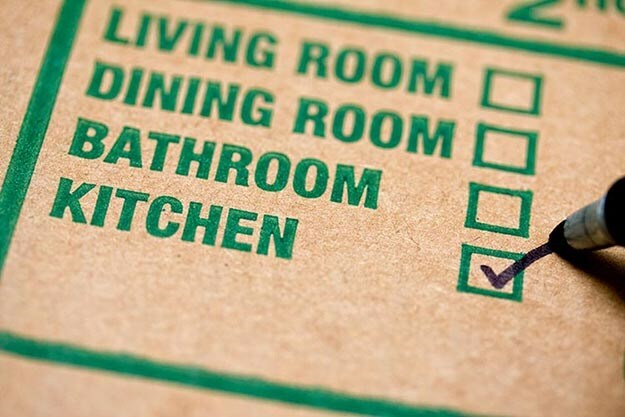 When you label boxes, be sure to label them for where they go in the new house rather than where they are in the current home. Not only will your movers know which room they belong in, but you will know where your items are. Also, if there are a few things you know you’ll need to get your hands on before you have a chance to fully unpack, be sure to list those items on a label, so you won’t have to break open every box to find the TV’s remote, the coffee maker, or your hair dryer. The most important decision you’ll make regarding move is your choice of Portland interstate movers. You need a moving company with a proven reputation for excellent service and dependability. ITS Global Relocation Services is a trusted name in the moving industry with extensive experience with interstate moving from Portland, OR. Our Portland interstate moving company is accredited, with an A+ Rating, by the Better Business Bureau and a member of the American Moving & Storage Association. We provide free, in-home estimates, and comprehensive moving services completed by uniformed professionals. 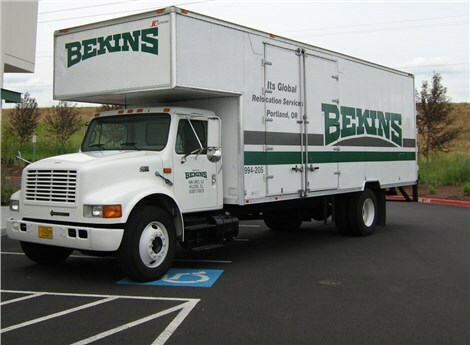 As a Bekins interstate agent, we can handle your move whether you’re relocating one state over or across the country! Let us help you enjoy a stress-free, out-of-state move. Contact our Portland interstate movers today to secure your moving date and schedule your free moving estimate. Give ITS Global Relocation a call, or fill out our online form to get started! Your move is a big deal! Let’s make it easier!